Here is a picture I took last Saturday night of a marching band competition. 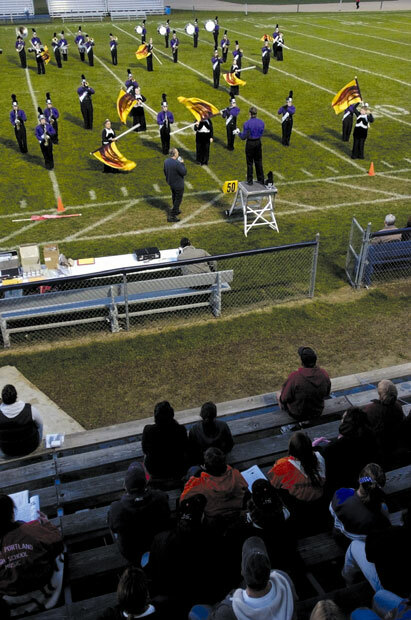 The audience watches the Marshwood High School Marching Band performance at the Lawrence High School Marching Band Show Saturday night at Keyes Field in Fairfield. The high schools competing were South Portland, Westbrook, Biddeford, Marshwood, Old Orchard Beach, Little Edward, and Lawrence. The night concluded with a performance by University of Maine Black Bear Marching Band.